BAE, MTV Caiman II (2) MRAP, (Mine Resistant Armor Protected), NOS, Cab and chassis. Warn 18,000 lb. 24 volt winch is mounted to the front. This Chassis is in NEW and UNUSED condition. Built with Caterpillar C9, 6 Cylinder, Electronically Controlled, Fuel Injected, Turbocharged and After-cooled, EPA Certified, 336kW (450HP), Caterpillar CX28 Transmission, Automatic/select 6-speed, Electronically Controlled, Full-time All-wheel Drive (6x6) off road. GVW of 69k lbs. with an additional towing capacity of 12k lbs. Top speed of 77 MPH, built with the latest technology and suspension. 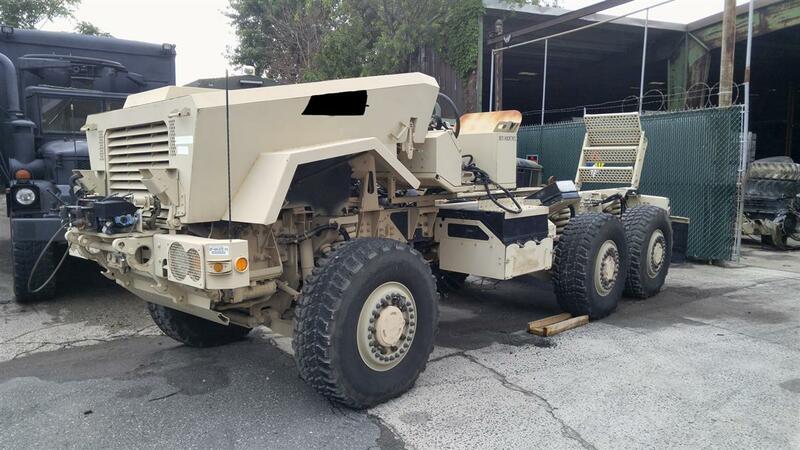 Complete Chassis weight is approximately 26,000 lbs.